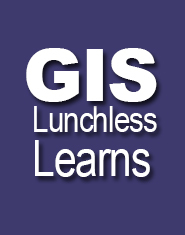 What is a “Lunchless Learn”? It’s a hands-on tutorial, held around lunchtime, open to all on campus — without the food. A GIS, or Geographic Information System, is “a computer system for capturing, storing, checking, integrating, manipulating, analyzing and displaying data relating to positions on earth’s surface.” In other words, it’s a way at looking at the world differently. This is a series to help give people a taste of what GIS is and how it can be used. To try and accommodate more people we are offering the same session at different times and locations. These sessions are meant to be self contained. After the intro session, take only the topics that are important or of interest you.